yes i understand were u are coming from ive added abit of ict stuff in my set ups. .remember the vic video ict showed. remember the site he got the orders from fxlive i think now ,when i stepped over to the( darkside retail fx) i joined up orderlow trading from that prick darkstar ,the book is useless very basic ,i used to call live trades in his room with a prop trader friend. Functionally, no, but that situation would happen around a Climax reversal. In what you defined, it's unlikely they don't get back there unless they're running it. he has guys who trade pennies( sorry arron not a dig ) teaching people their orderflow take . yes but i understand stops .say 10 pips .reward how can u know the reward 20 ticks or 200 ? asia range .yesterdays hi/low .stops now were talking . open line ?weekly open. monthly open . I'm increasingly coming around to using a time of day based component for TP2s, for intra day trades. I'm increasing coming around to using a time of day based component for TP2s, for intra day trades. Some good material, which I.m still working through, although wish he would not repeatedly finish every sentence with "OK?" Anthony's site 'The LJ Group', previously 'The Traders Guild', seems to have been taken down, any update on the possibility of acquiring additional videos? hi rod sorry for late reply the wifes family came over from hongkong to us in phuket chinese newyear.ive emailed mark and asked to put the links up .im trying to get hold of some prop trader vids to post for the guys here .but if not i will post how they set the week up all ties in with s/d and ict work basicly the concepts we are using the same as predatory funds work in the spot marktet . Marks material certainly provides another perspective and I'd be interested on any additional similar material. seems as though Tony Soprano has taken to FX Trading! 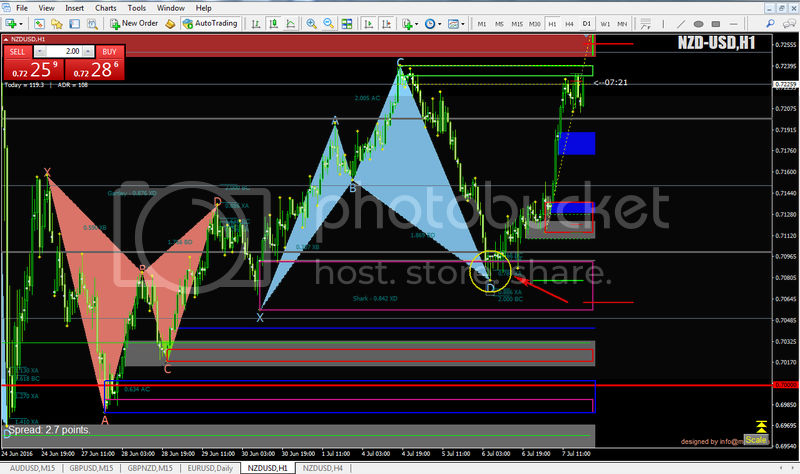 A nice Bullish Harmonic Shark Pattern on N/U H1 today lifted out of a Demand Zone. Whatever works. That was pretty much one of the ideas that propelled me to open this thread. Maybe a pre-post intelligence test required to prevent responding to posts that are thirty months stale.